Scream Factory has done it once again and has brought another lost horror gem to blu-ray. Crawlspace is actually a film that I have heard of before, but I never seemed to be able to get ahold of it. Even the movie rental store I used to go as a kid never even had it from what I remember. Nonetheless I am finally glad to of been able to watch it at long last and on blu-ray. 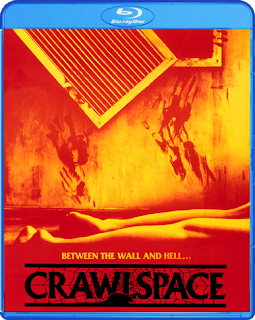 Please come with me as I delve into my autopsy of this labyrinth of horrors known as Crawlspace! 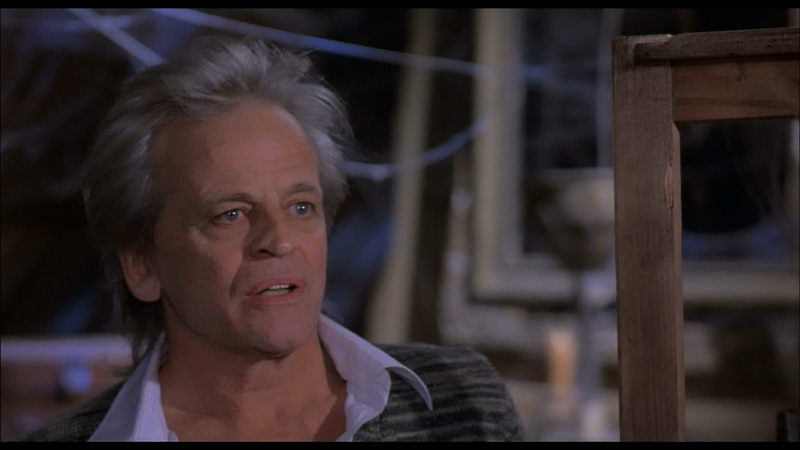 Landlord Karl Gunther (Klaus Kinski – Nosferatu The Vampyre) seems like a conscientious landlord who looks out for this female tenants. What they don’t know is that he has an elaborate network of crawlspaces that he uses to watch their every move. Can a new prospective renter stop this apartment building’s rapid turnover rate…or will Gunther continue to make a killing? (synopsis from back of DVD). At first I thought this film was just going to be another twisted horror film with some suspense. What I got was a horror film that has some amazing atmosphere, great suspense, and some genuinely creepy moments. To me the plot is pretty basic and is basically about a creepy landlord who stalks his tenants and does a little killing as well. The first thing that makes this film more than just another horror film is that you have the amazing Klaus Kinski playing the landlord. He takes his character to the next level and makes him much more realistic and downright creepy. It may sound bad, but I honestly did not end up caring about any of the other characters and just couldn't wait for the landlord to strike again. 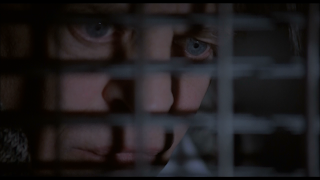 The genuinely creepy moments that happen are those of when he is in this all white room and he plays Russian Roulette each time after he kills someone and the other scenes are when he is sitting in this room with a woman he has captive and he is interacting with her. The second thing that sticks out is how some of the scenes are shot, in particular the ones when he is playing Russian Roulette and the camera does this spiral effect while zooming out. For the time it was done I don't think really anyone was doing shots like that, nowadays it's something I have seen done alot. 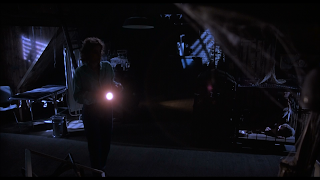 There is so many times that I found the way the scenes were shot were done artistically perfect for the scene and feel of the film. 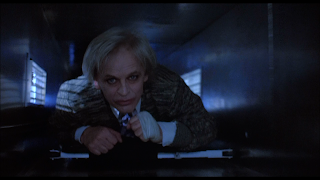 When it comes to the climax of the film it gets going and does not let up with shock after shock around each corner as well as there is a part where Klaus Kinski is chasing after one of the women through the vents and his is riding on this mechanical device, the sound that it makes just adds to the scene. The presentation of this film is quite great and has little to no damage. The occasional damage does not bother me one bit because it can add to the film in my opinion. Now if it was overladen with damage it really would take away from this film and be too distracting. The audio is great as well, but you do not have a choice and only get a DTS-HD Master Audio Mono. Some will hate not having something more than that, but I simply love that it has it's original audio. Along with this great film you also get some special features that are quite awesome. The best of the special features are the audio commentary with the director David Schmoeller and a great featurette called "Please Kill Mr. Kinski" which was made by the director and he talks about the troubles he and the crew had with Klaus Kinski! 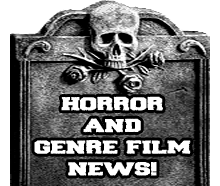 I give this film a 5 out 5 scalpels!